Masiero - EVA S3-1 | Koizumi Lighting Singapore Pte. Ltd. 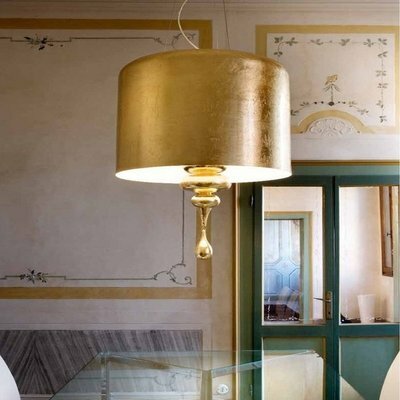 Description: Suspension luminaire in gold finish with turned wooden frame, lamp shades from laquared aluminium.